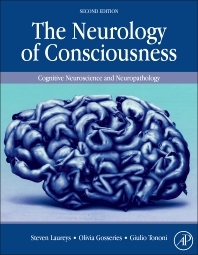 The second edition of The Neurology of Consciousness is a comprehensive update of this ground-breaking work on human consciousness, the first book in this area to summarize the neuroanatomical and functional underpinnings of consciousness by emphasizing a lesional approach offered by the study of neurological patients. Since the publication of the first edition in 2009, new methodologies have made consciousness much more accessible scientifically, and, in particular, the study of disorders, disruptions, and disturbances of consciousness has added tremendously to our understanding of the biological basis of human consciousness. The publication of a new edition is both critical and timely for continued understanding of the field of consciousness. In this critical and timely update, revised and new contributions by internationally renowned researchers—edited by the leaders in the field of consciousness research—provide a unique and comprehensive focus on human consciousness. The new edition of The Neurobiology of Consciousness will continue to be an indispensable resource for researchers and students working on the cognitive neuroscience of consciousness and related disorders, as well as for neuroscientists, psychologists, psychiatrists, and neurologists contemplating consciousness as one of the philosophical, ethical, sociological, political, and religious questions of our time. The first comprehensive, authoritative collection to describe disorders of consciousness and how they are used to study and understand the neural correlates of conscious perception in humans. Concluding Remarks: Do These Conclusions Hold for Real Life? The Right to Die or the Right to Live? Hallucinations in Dementia: Where Do They Come from? Are There Limits to Non-Conscious Cognitive Control? What It Is Like to Be Amnesic? What Can We Learn About Consciousness from the Blind Brain? A Darwinian Struggle for Survival? Steven Laureys, MD PhD, is director of the Coma Science Group at the Neurology Department and Cyclotron Research Centre of the University Hospital and University of Liège, Belgium. He is research director at the Belgian National Fund for Scientific Research and clinical professor and board-certified in neurology and in palliative medicine. His team studies the neural basis of human consciousness (coma, anesthesia, hypnosis and sleep). He assesses the recovery of neurological disability and neuronal plasticity in acquired brain injury (e.g., comatose, “vegetative”/unresponsive, minimally conscious and locked-in syndromes) confronting clinical expertise and behavioral evaluation with multimodal neuroimaging (positron emission tomography and magnetic resonance imaging) and electrophysiology studies (electroencephalography coupled to transcranial magnetic stimulation) and also deals with the ethical implications of this translational clinical research. 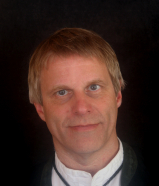 He is chair of the World Federation of Neurology Applied Research Group on Coma and the European Academy of Neurology Subcommittee on Disorders of Consciousness. 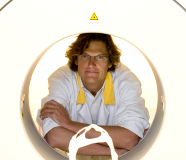 He is recipient of the Cognitive Neuroscience Society Young Investigator Award, the William James Prize (Association for the Scientific Study of Consciousness) and the Blaise Pascal Medal of Medicine of the European Academy of Sciences. He has written 4 books and over 300 scientific papers on the subject of disorders of consciousness (H-index 65). Olivia Gosseries, PhD, is currently doing a post-doctoral research at the University of Madison at the Center for Sleep and Consciousness of Pr Tononi and Postle Laboratory of Pr Postle. She is working on consciousness and working memory using transcranial magnetic stimulation (TMS), electroencephalography (EEG) and functional magnetic resonance imaging (fMRI). She received her Ph.D. in biomedical and pharmaceutical sciences at the Coma Science Group, Cyclotron Research Centre, University of Liège in Belgium under the menthorship of Pr Laureys. She worked on the development of markers of consciousness to improve diagnosis, prognosis and treatment of patients with disorders of consciousness. Her work has led to more than 50 publications in international peer-reviewed journals and she recently received the Young Investigator Award from the International Brain Injury Association. Giulio Tononi, MD PhD is a psychiatrist and neuroscientist in Madison, Wisconsin, USA. He is the director of the Center for Sleep and Consciousness at the University of Wisconsin, which focuses on the function of sleep and the nature of consciousness.. Together with his collaborators, he has been developing and testing a comprehensive hypothesis on the function of sleep, the synaptic homeostasis hypothesis. Research on consciousness has led to the integrated information theory, which tries to account for what consciousness is, how it can be measured, and how it is realized in the brain.He received the NIH Director’s Pioneer Award, the John W. Severinghaus Award, the Pisa Sleep Award and he holds the David P. White Chair in Sleep Medicine, as well as a Distinguished Professor in Consciousness Science.